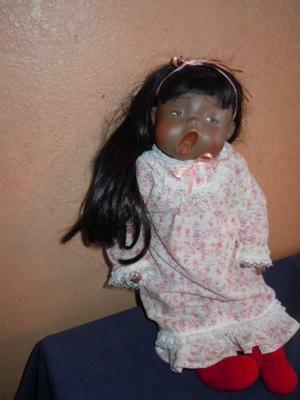 This is a dark skinned doll with a mark of 82 and some type of symbol under it. 13 1/2" tall. In a nightgown. Mouth open in a yawning position. Porcelain (bisque) head and hands. 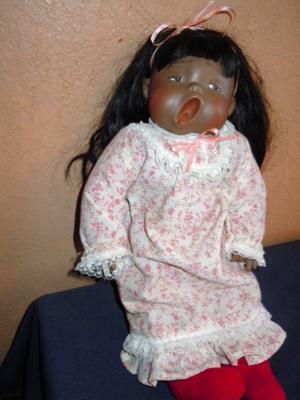 This doll came from an estate where the owner did a lot of foreign travel and collected quality dolls. oriental looking. In good condition. See photos. Please help with information - could not find anything on Internet.